Country Inns and B&Bs are known for their comfortable accommodations, exceptional amenities and unique ambiance, reflecting the taste and personality of the owner-innkeepers. 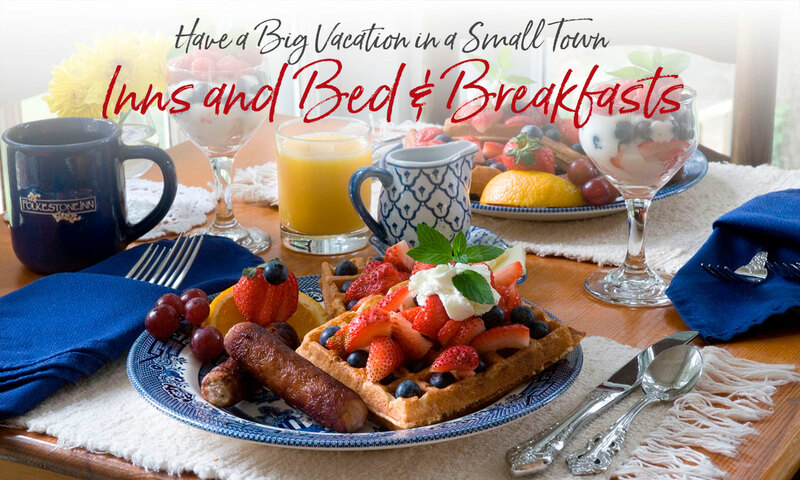 Find a Bryson City B&B or Inn for your next outdoor adventure or romantic getaway. Search by name or by amenities. Click thumbnails to enlarge. A quiet and comfortable bed and breakfast located near the Deep Creek entrance to the Great Smoky Mountains National Park, just two miles north of Bryson City. Originally a 1920s mountain farmhouse, the Folkestone offers ten guest rooms, all with private baths. Upstairs rooms feature private balconies and mountain vistas, while the downstairs rooms offer an old world charm, with flagstone floors and pressed-tin ceilings. Three-course breakfast with specialties that include lemon souffle pancakes with blueberry compote, and sweet potato hash with poached egg. Wireless Internet access. Address: 285 Lone Oak Dr. Escape to romance & gracious lodging at the closest B&B to Great Smoky Mountains National Park main entrance and Blue Ridge Parkway. Large & economy rooms, a fireplace suite and jacuzzi suite. All with private baths & balconies/patios, A/C, robes, CD Players, free high speed WiFi. Enjoy s'mores at our campfire or cozying up to the fireplace in the Great Room; rates include full breakfast in the dining room, on the patio by the brook or in your suite. 22 private forested mountain acres with hiking trails. McKinley Edwards Inn is a beautiful property on 1.5 acres of lushly landscaped grounds located only minutes from downtown Bryson City. The Inn offers all the amenities expected of an upscale Boutique Hotel including heavenly mattresses and 950 count sheets. 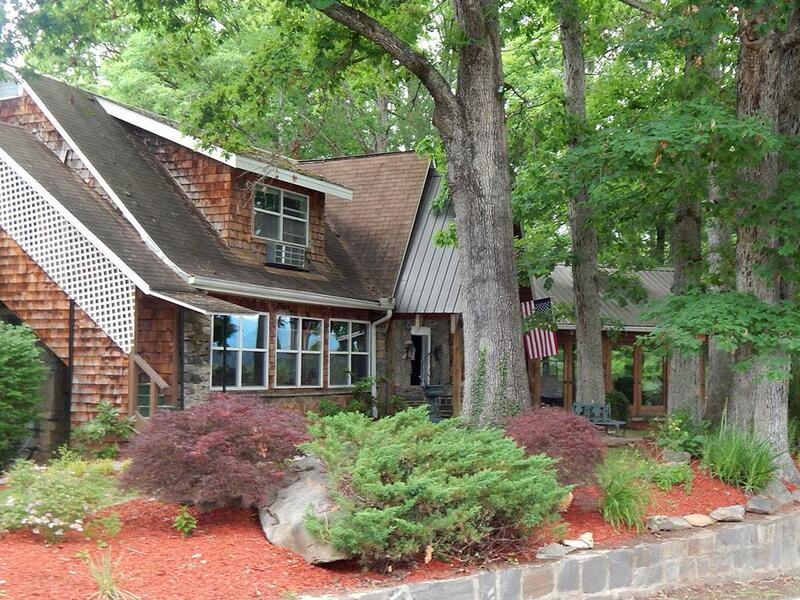 Choose from the 12 “Shabby Chic” decorated rooms or a 2 BR/1BA cabin that sleeps 8. Twenty-six guest rooms with authentic country furniture and honest-to-goodness home cooking for breakfast and dinner included in rental rates. Cottages are available. Open mid April through December. 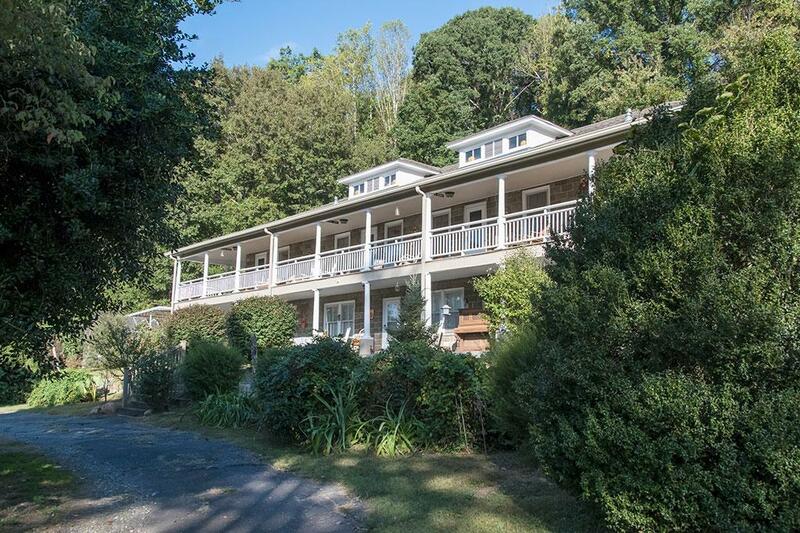 Peace and quiet guaranteed with 57 wooded acres and incredible mountain views. Historic hotel within walking distance of Great Smoky Mountains Railroad, located in the heart of the Great Smoky Mountains. Fifteen rooms, most with private bath. Spacious front porch with rocking chairs, antiques, period furniture, and handmade quilts. Family style meals arranged in advance featuring authentic Appalachian foods such as teas, homemade jams, jellies, cobblers, sourwood honey and hot biscuits. V/MC/DS. Each of the Bryson City area bed and breakfasts and inns is unique. Yet some things are generally consistent — comfortable lodging, good food and friendly innkeepers eager to help you get the most enjoyment out of your visit to the North Carolina Smokies. Your innkeeper is your host, your cook and your concierge. Several inns have restaurants open for evening meals; some have spaces for weddings, receptions, and meetings; and others offer settings for smaller gatherings. And if you want to bring along the family pet, there’s a Bryson City pet-friendly bed and breakfast or inn you both will love.